We have a sloping front yard that has no plants (mostly dirt and trees). rain is causing erosion. do you have any advice to slow the run off? There are various solutions to this problem. Although none are inexpensive, it's something you will have to do to correct the problem. 1. Install lawn. Grass will absorb the rain and keep the ground from eroding. If the soil is compacted you will have to loosen it up and I would consider adding a few inches of fresh topsoil. Where the surface water will go is another subject! 2. Install groundcover. Groundcover plants also will take up the water by their roots. You can choose some varieties that are quick growing and spreading such as Ajuga. 3. Install mulch, although this can erode also, depending on how steep the slope is. Of course you don't want an entire property of mulch, but since you have existing trees, you might create beds with mulch around them. The balance of the property can be groundcover, lawn or a combination of both. 4. 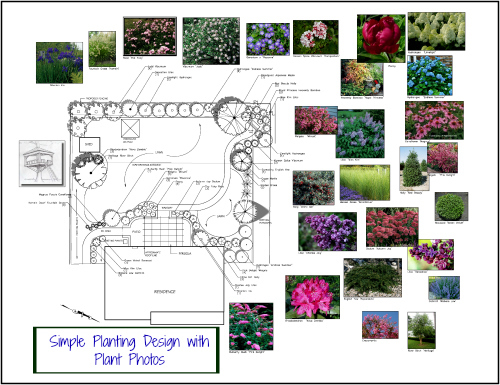 Create planting beds. These can be separate from your existing trees or can include them with additional plants added. Mulch them and install lawn on the balance of your property. Lawn will be the easiest and least expensive option.